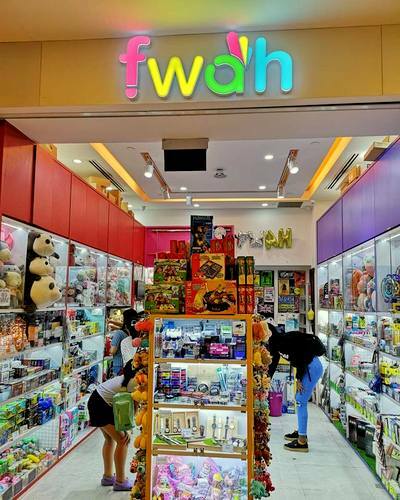 Lifestyle & collectible products and gift shop FWAH has six locations in Singapore, including one at Bugis+ mall (201 Victoria Street). Founded in February 2016, FWAH boutiques have a wide range of electronic gadgets, lifestyle items, toys, as well as unique gift products. The selection features everything from quirky collectibles to witty novelty items, making finding the perfect gift easy. The official FWAH Singapore Facebook page is located at www.facebook.com/Fwahsg/. You can also follow the company’s official Instagram account, which in turn is available at www.instagram.com/Fwahsg/.